Did you know we stock a wide range of water pumps? 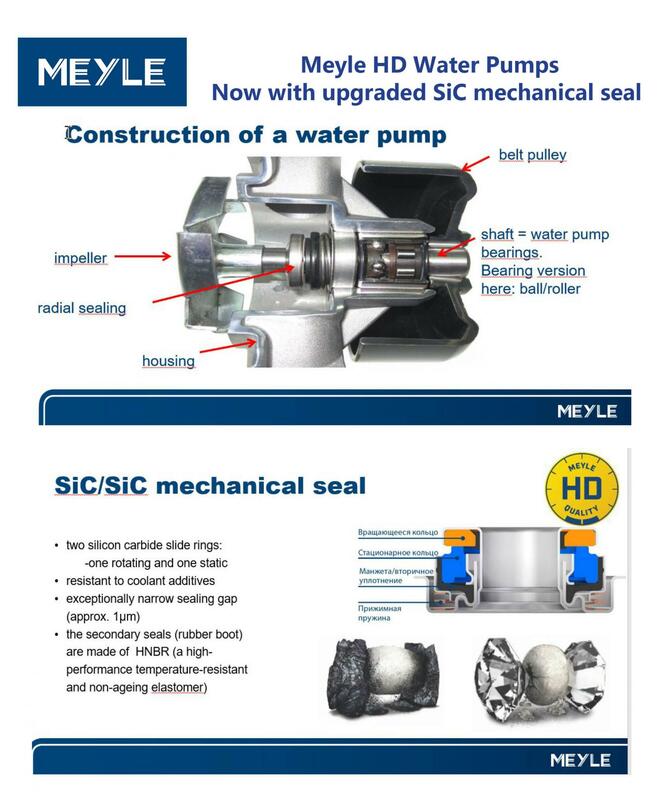 We are the NZ distributor for Meyle water pumps which now feature a new upgraded SIC mechanical seal. These water pumps are in the Meyle HD range and exceed the OE specifications - they also come with a Meyle HD 4 year manufacturers guarantee. We also stock a wide array of Airtex products including water pumps. Based in Spain, Airtex is the world’s largest pump manufacturer and operates manufacturing facilities in three continents. For decades Airtex has been a trusted OEM supplier to the world’s top manufacturers such as Ford, General Motors, Chrysler, Saab, VW, and Renault. All of their pumps meet or exceed OE specifications. We stock a variety of INA Water pump kits. These are manufactured by Schaeffler in Germany and meet or exceed OE specifications. Just give us a call today and we will find the water pump that is right for you!